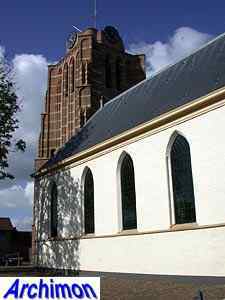 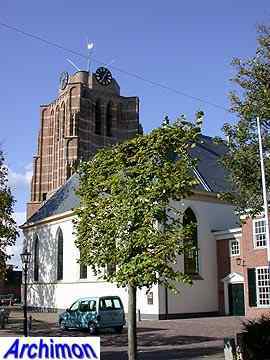 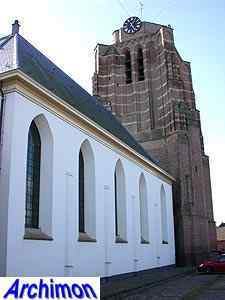 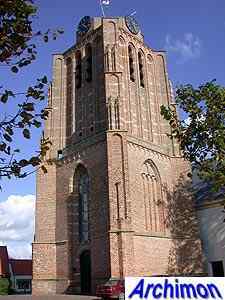 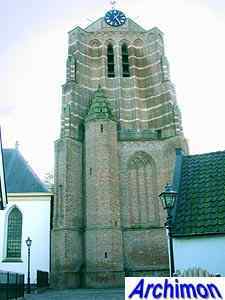 Like the church of nearby Acquoy, the reformed church of Beesd is mostly important for its tower. 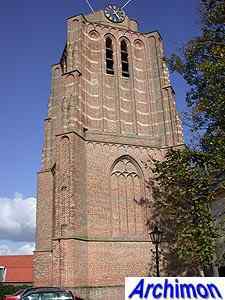 Just like the one in Acquoy, the tower of Beesd was not completed. 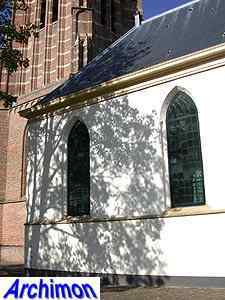 The lower part dates from ca. 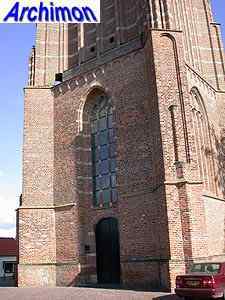 1500 and is in modest Lower-Rhine Gothic style. 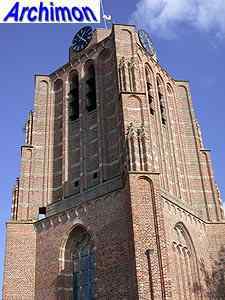 The upper part, which was built some 50 years later,features important influences from the Campine Gothic style, like the diagonally positioned stepped buttresses.On top of the tower is what seems to be te beginning of an intended octagonal upper part. 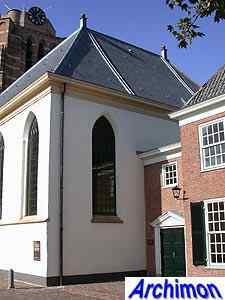 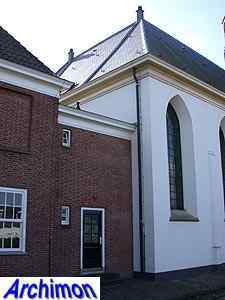 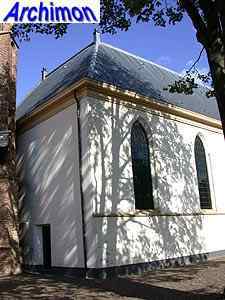 Unfortunately the original church, a three-aisled hall-church, was mostly demolished in 1825 and replaced by the current building which is of little architectural importance. 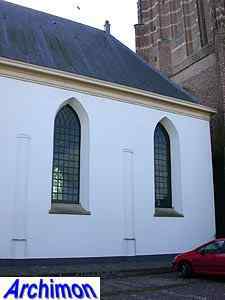 Several parts of the old church were incorporated, like the southern wall, but any old details are covered underneath a coat of plaster.